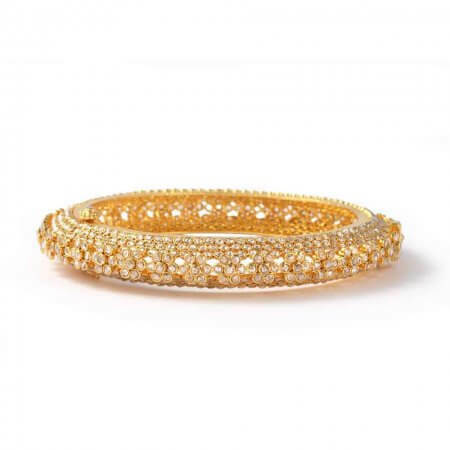 Diya – the light of the floating candle. 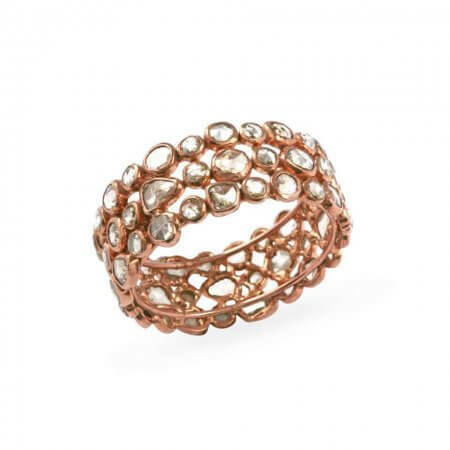 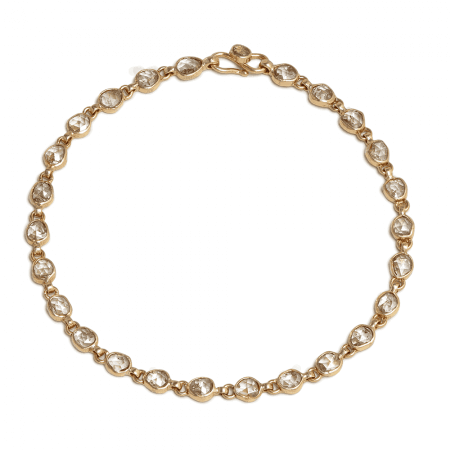 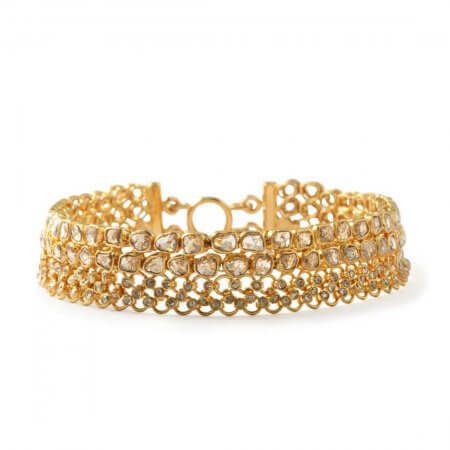 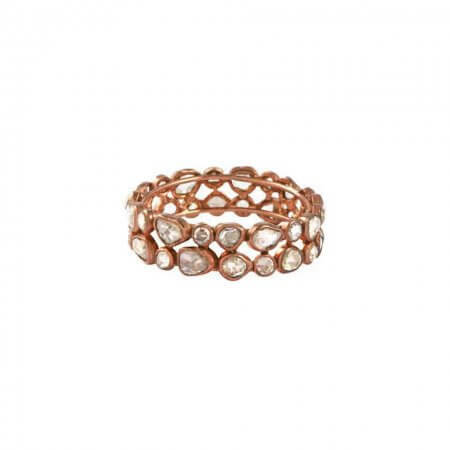 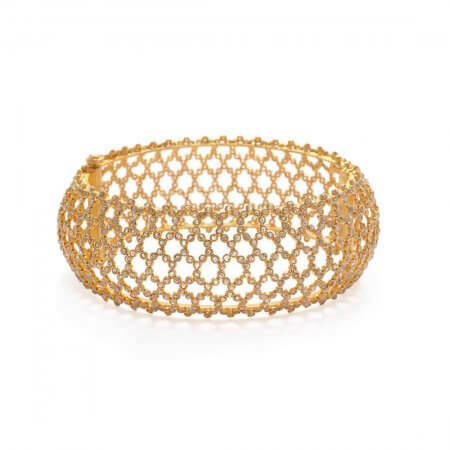 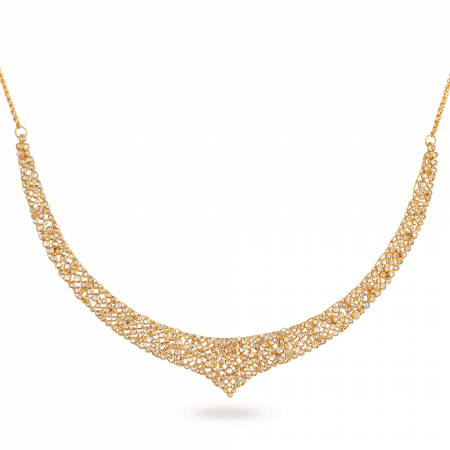 Our Diya collection demonstrates the versatility and depth of our designs. 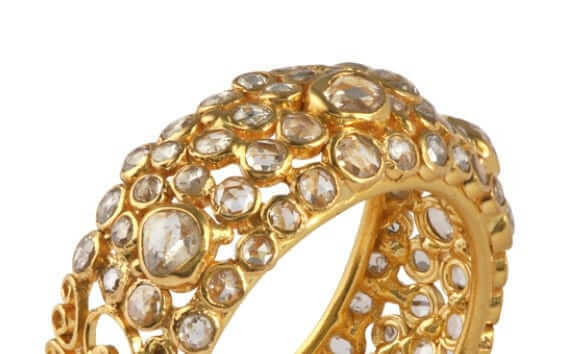 We are committed to delivering the absolute highest standards that we possibly can in all aspects of our work. 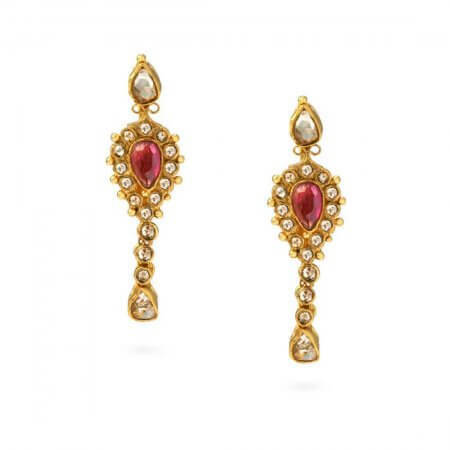 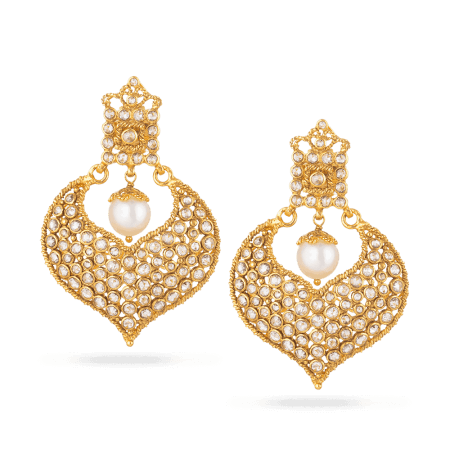 Our Indian 22 karat gold jewellery begins as an idea; we then find the most elegant way to express that idea and incorporate the most appropriate design elements from the various styles that we have worked with over the years. 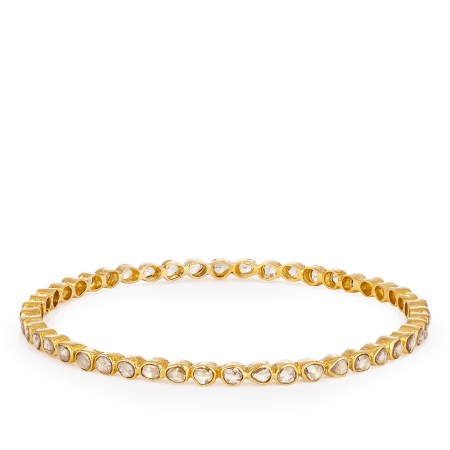 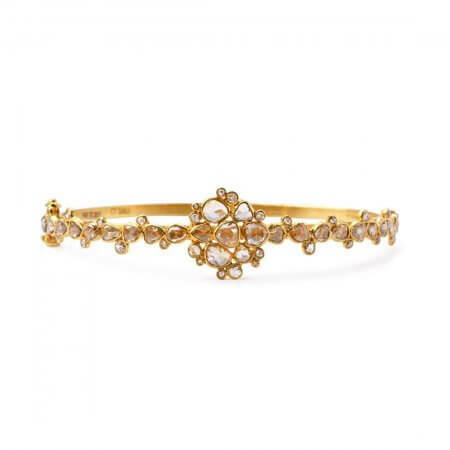 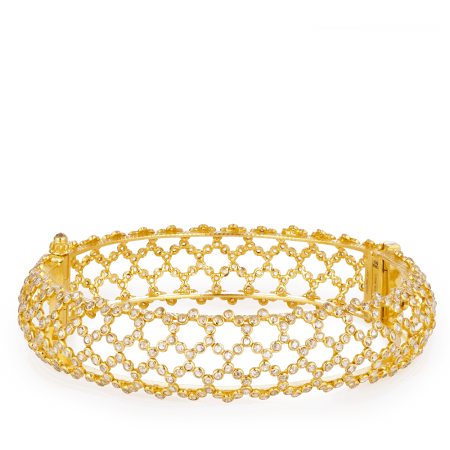 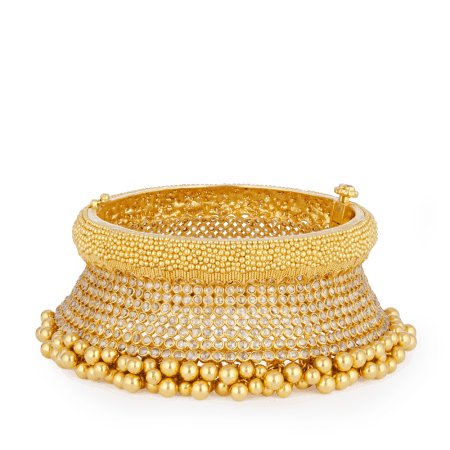 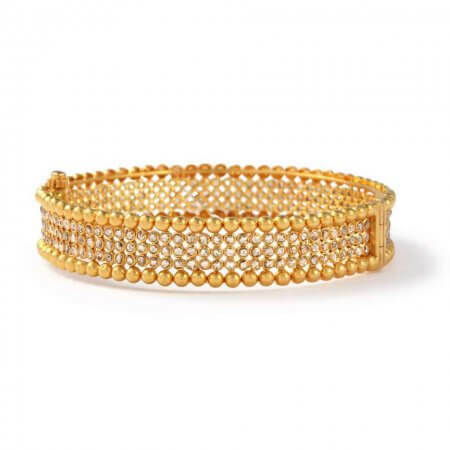 The rose cut or uncut polki diamond bangles in this collection really sparkle and shine like nothing else, emulating the glimmer of a candle floating on water. 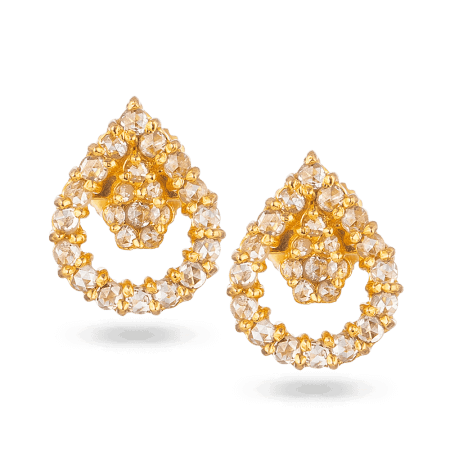 Each piece features an arrangement of diamonds, each placed with the highest precision to ensure a dazzling gleam when hit by light. 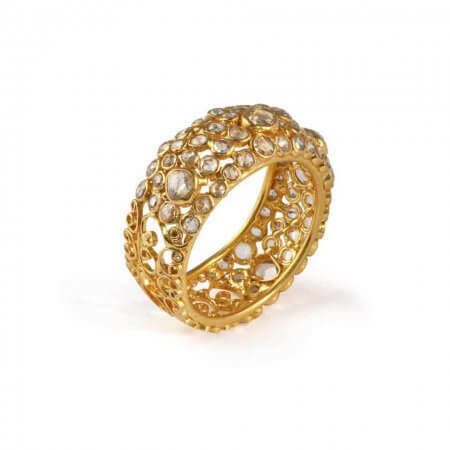 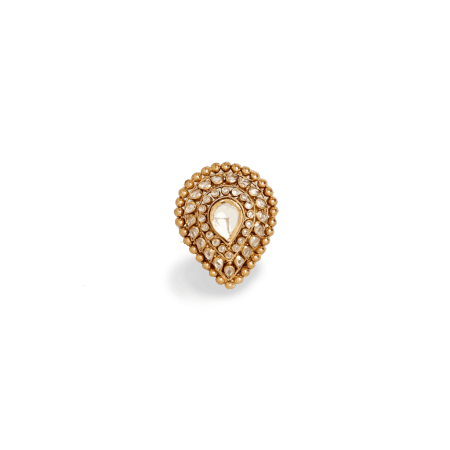 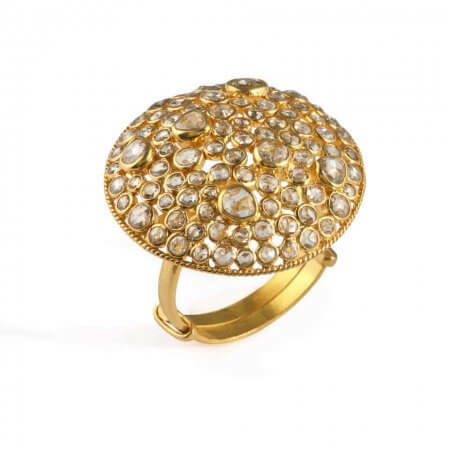 For those looking for something a little subtler, we have a pair of gold rose-cut polki diamond rings, one of which features a dome studded with diamonds to make the piece noticeable yet unobtrusive. 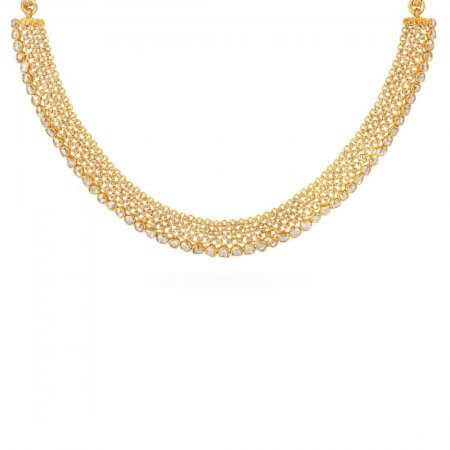 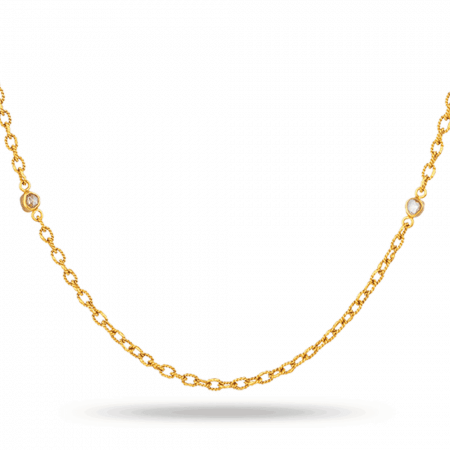 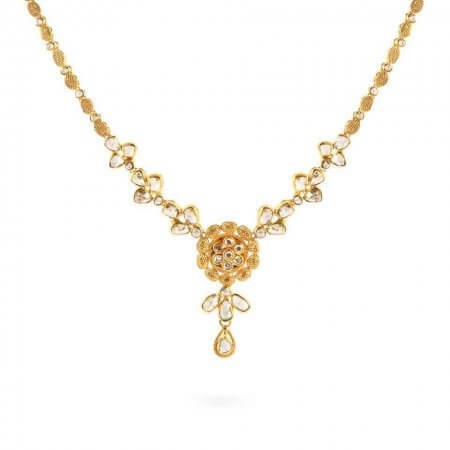 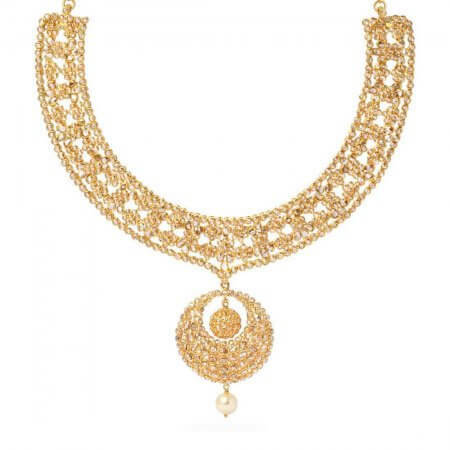 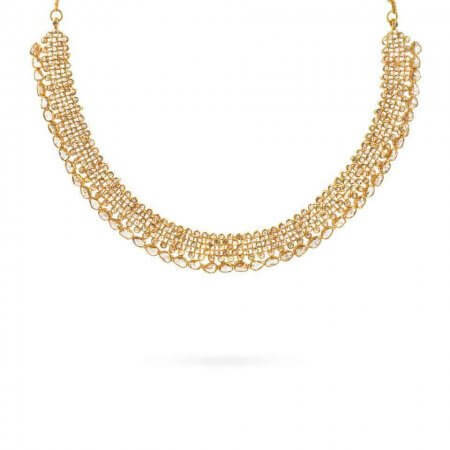 It partners perfectly with it’s complementary Indian 18 karat gold necklace, perfect for those who want to remain understated. 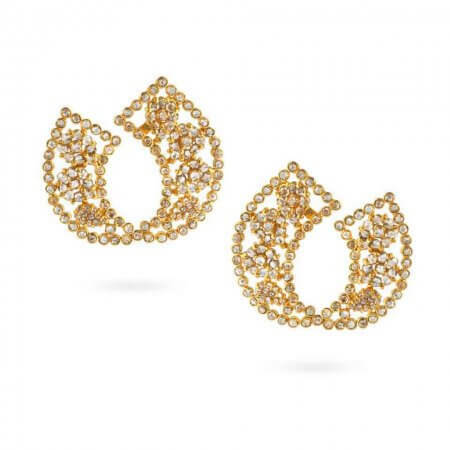 Each piece in this collection is greatly enhanced when placed in partnership with another. 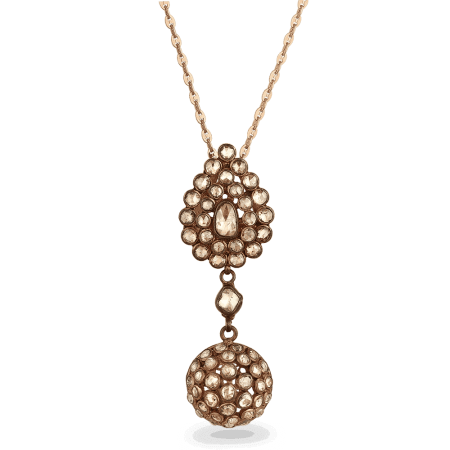 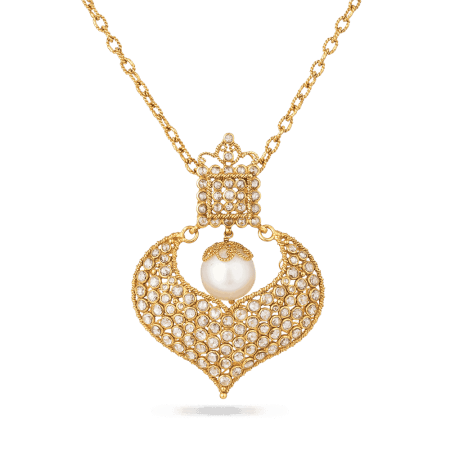 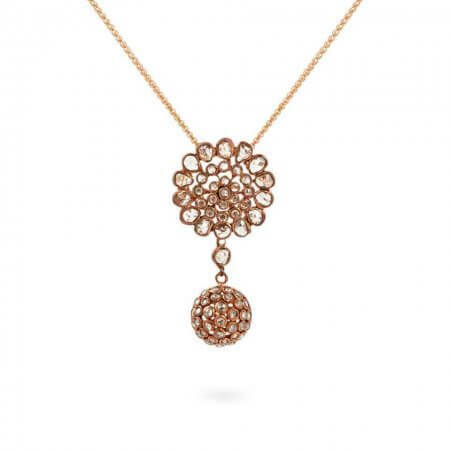 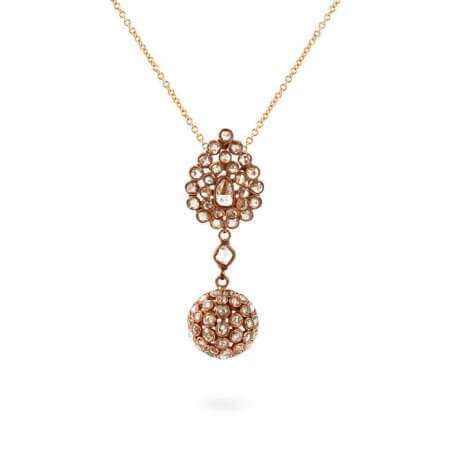 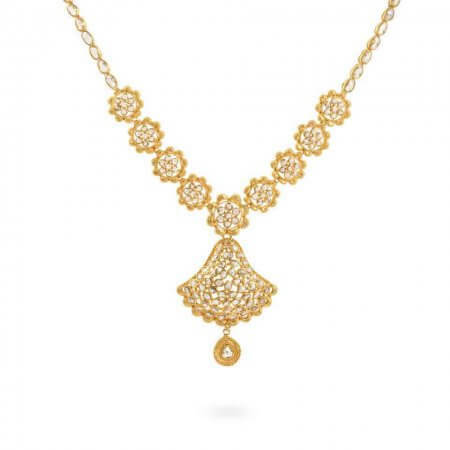 Our Diya 18ct polki diamond pendant makes a fantastic flourishing finish to any ensemble. 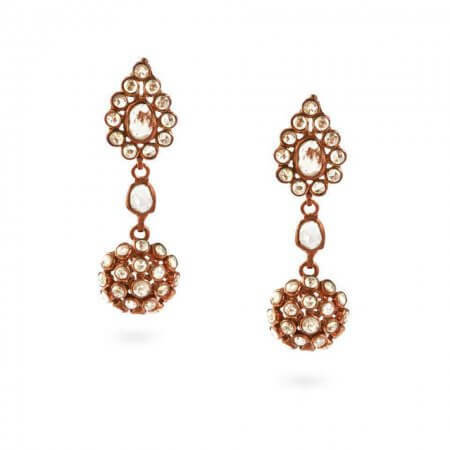 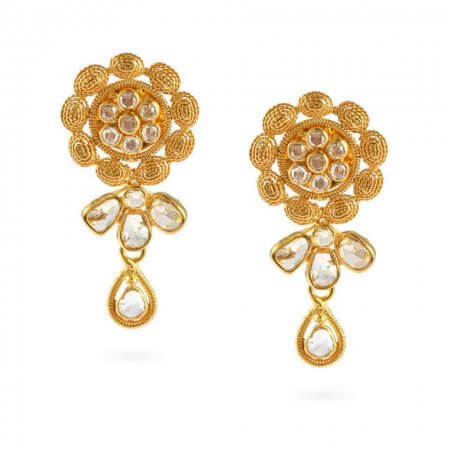 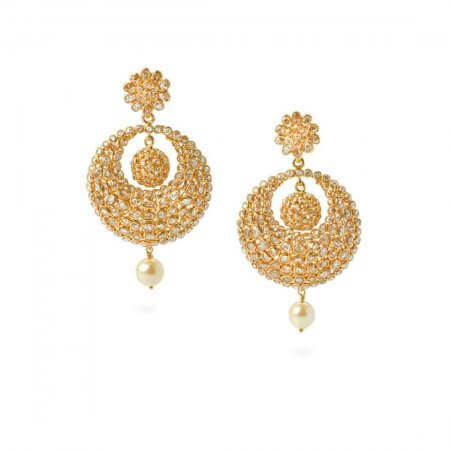 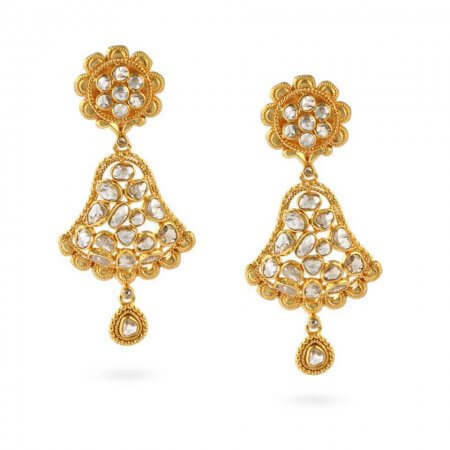 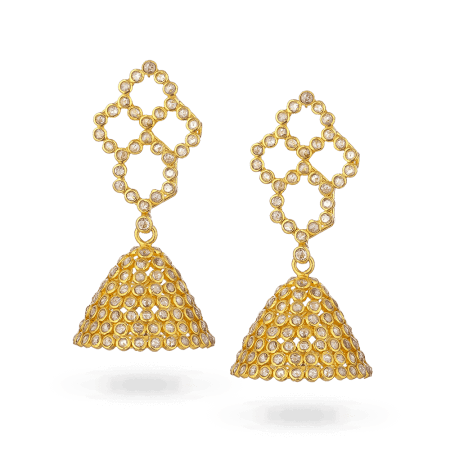 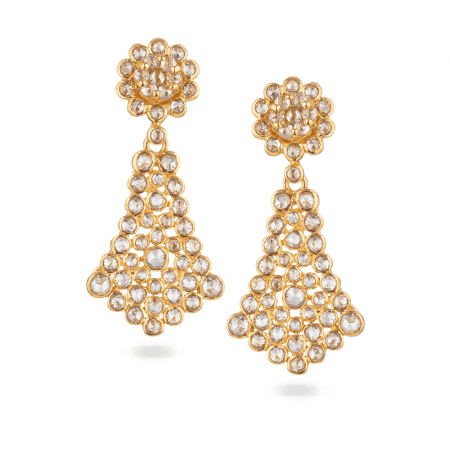 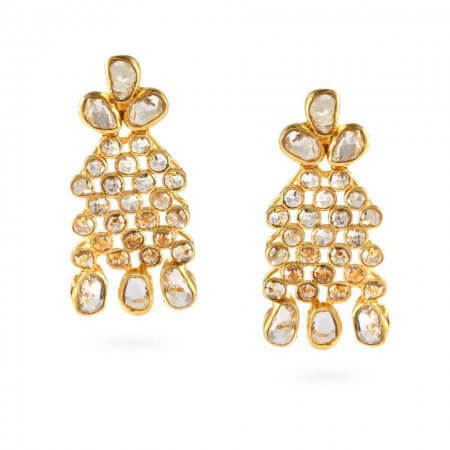 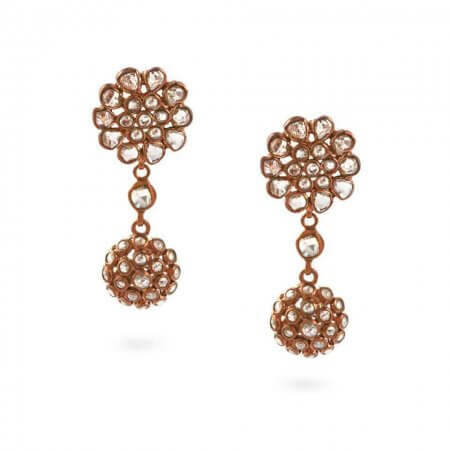 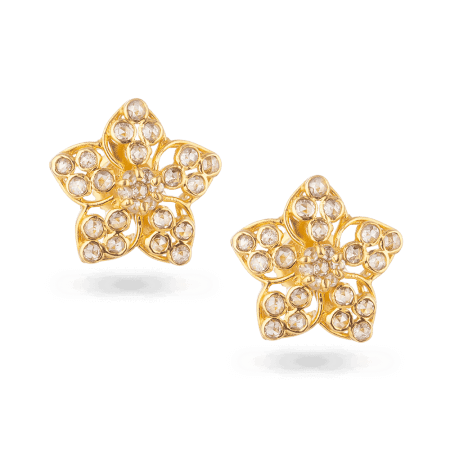 Meanwhile, our gold rose-cut polka diamond earrings exemplify our more traditional design approaches, as they are elegant pieces with great attention to detail.